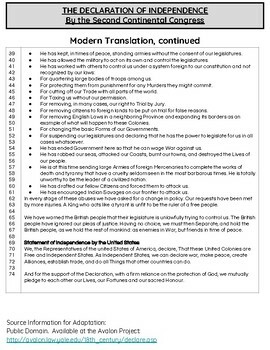 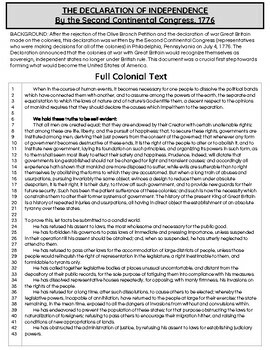 This activity provides a background and full text of the Declaration of Independence in the original colonial text and also an adapted version in modern text. 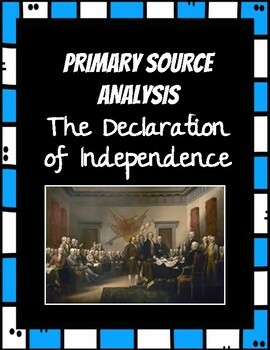 The adapted version is based on the full colonial text. 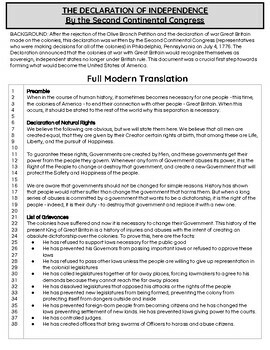 Common Core ELA questions are also provided for students that will help them analyze the text.